We believe that the customer’s vision is the most important aspect of the project. We have the experience and knowledge to get everything finished to code and within the time frame you set forth. No matter what type of roofing renovation you are looking for, our wide skill-set and knowledge allows us the opportunity to get it done right! 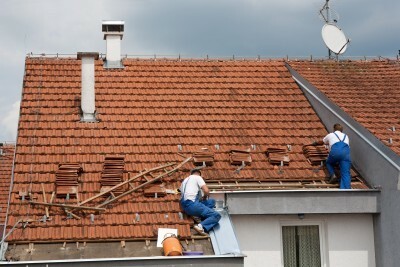 JB Masters Roofing and Gutters LLC is a complete full service gutter and roofing company located in Colorado Springs, CO. Offering high quality residential and commercial roofing & gutter services to the greater CO areas have our staple.. Being a quickly expanding company, we are determined and focused on 100% customer satisfaction. This company offers a broad array of quality products, and services as to cater to every aspect of the customer’s wants, concerns, and needs. Call us today! "I just wanted to convey that Paulo and his crew did a great job in the re-siding of our house. They applied the siding professionally and competently..." - Dean G.
A-ACE Roofing & Siding provides Roofing services in Denver. Call them at 303-227-0440 for more details. Metal Roofing--is it Right for My House?